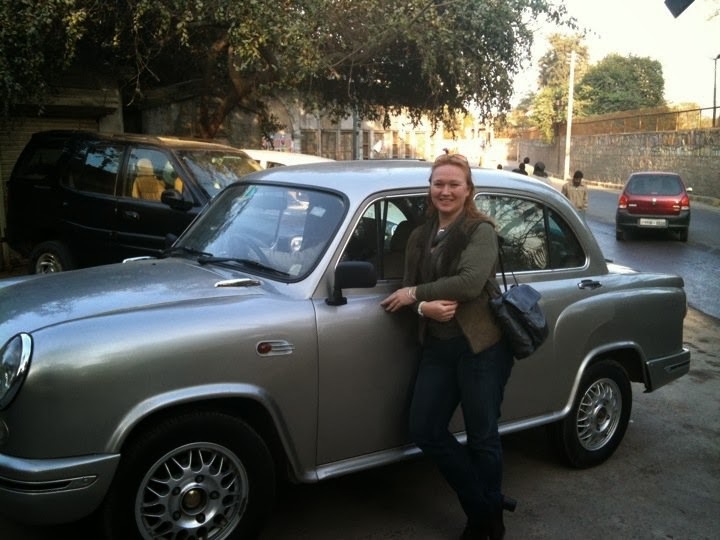 Having never had staff in the UK I couldn’t see why I would need them just because I had moved to Delhi, ‘Oh, you must find staff’ everyone said, ‘a reliable maid and a good driver at least, they can make or break your life here’, and I was soon to realise just how true they were. The levels of dust that build up in Delhi in just 2 days would take at least 6 months to create in the UK and anyone who has spent more than 5 minutes trying to negotiate Delhi traffic will quickly realise the wisdom of hiring a driver as soon as is humanly possible. Once good staff are found, then the lack of cleaning, ironing, shopping and cooking, ladies of Delhi, you don’t know you are born!! Never having to clean the car, inside or out, never having to worry about parking or having one too many vino’s at lunchtime…. These benefits far, far outweigh the trauma’s of managing the staff and one then actually has the time to deal with the other challenges of dealing with Delhi life, of which there are many. However, though staff were easy to come by, the words ‘reliable’ and ‘good’ were to be, I found, the crux of the matter. Recruiting took many attempts with either drunken or paan spitting drivers, drivers of questionable hygiene, drivers who didn’t know their way around Delhi or who didn’t seem to be able to understand the principle of time keeping and drivers who didn’t understand English. Though I do believe in trying to learn the local lingo the words I had learnt in the jungle, ie: Chewha (mice/rats), machi (flies/termites), and saamph (snakes) weren’t proving terribly useful! However several interviews and trial days, many of which felt like attempts on my life, later I finally found or thought I had found the one, little did I know that there were other problems lurking around the corner. After a day’s test drive I employed Abel immediately. He was presentable, clean, turned up on time, spoke English, didn’t spit constantly and knew his way around, this was almost too good to be true. On asking for his phone number, he was very impressed that I knew how to spell his name. Then, in a throw away comment that I was to live to regret, I claimed proudly that ‘I knew my bible characters’ – BIG MISTAKE. His first day working with me was a Sunday, when the vast majority of Delhiites flock to one of many of the five star establishments for the much famed Sunday brunch. Now I am not sure how many churches there are between my house and The Oberoi, but you can bet your bottom dollar that I was driven past every single one, and we certainly didn’t take a direct route. As we passed each one, Able slowed down, pointedly pointed it out and asked me if I would like to look around. He seemed determined that my Sunday be taken up in pious reverence at the altar rather than in homage to the altar of food and Verve Cliquot being served at 360. Being late for my preferred activity of choice did nothing to develop my Christian attitude. The following day, after a tough day in the office he mistook my bad humour for grief and told me I would find consolation in church and the next day turned up with a bible for me…… trust me, having been to a convent school, I felt no further need to immerse myself in that particular publication. Now he spoke English, was hygienic, reliable, timely and didn’t spit, and I hadn’t the heart to tell him that I was beyond saving, and I wondered how long he would stick around once he found out? Sadly it was more my firangi naivety that was to lead to his downfall. You see, I would send him off, cash in hand to fill up the car with petrol, oh yes, you can all see where this is going to end up, when one day, as I went with him, and the usual INR1500.00 sent the fuel gauge twice as far as it had been doing on his previous solo excursions. Pity his Christian values didn’t stretch to a knowledge of the 10 commandments and sadly it was number 8 he was unfamiliar with, though shalt not steal. Indian Chai and English Tea - the common bond. Hello! Dont know about new staff, but I do know a bloody fabulous boutique that does personalised stationery! Holler!